How to use mobile document scanner? 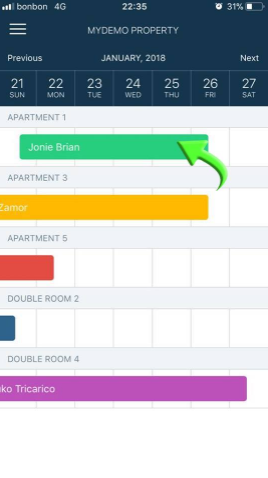 Open the Rentlio mobile app on your iOS or Android device. You can access mobile document scanner via Dashboard or Calendar. 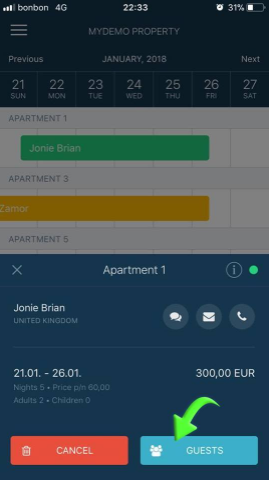 On Dashboard, tap on Details next to the name of the guest you want to scan, or select a relevant reservation via Calendar section. Reservation pop-up will appear. Tap on Guests in lower right corner. Your camera will then be activated. Direct your camera to the part of the document that contains the MRZ code. You will see numbers among the ''<'' (less than) symbols. 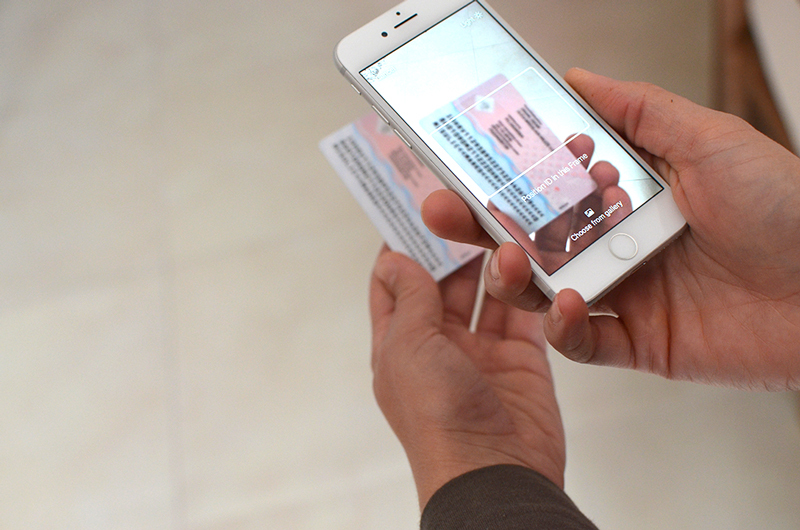 On ID cards, the MRZ code will be on the back. As with passports, you will find it right below the person's photograph. After you've successfully processed the guest's document, the scan will appear on the guest list as part of the reservation you are updating. Besides scanning original documents in real time, the system will also recognize images of documents you've previously received or taken yourself. Important: Make sure there is sufficient light in the room when scanning the documents, but not too much as it will reflect light rays on your camera lens. Each symbol has to be clearly visible for machine recognition.